It's been 81 days since since she became Prime Minister, so this Theresa May Brexit speech at the Conservative party conference in Birmingham was as well-received as it was well-delivered. Her next section reminded us of her predecessor. He liked lists. And this was certainly quite a list. However, that was it. I don't recall any other section that smacked of list. People who have a job, but don't always have job security. People who own their own home, but worry about paying the mortgage. People who can just about manage, but worry about the cost of living and getting their kids into a good school. And this week, we're going to show the country that we mean business. She talked about David Cameron and paid fulsome tribute to him and his legacy. That made sense in her speech as it also made sense for party unity. We discussed the Theresa May British Values speech in 2015. On that occasion her delivery was plodding. And her speech equally so. So, she isn't yet a characteristically eloquent speaker. Yet, she's confident and assured. There were some stumbles throughout. I suspect she's not yet fully familiar with auto-cue. This will come later. However, don't imagine this wasn't a confident speech. Because it was. This Theresa May Brexit speech brimmed with confidence. Within a classic position taker, we heard her catchphrase. But come on. The referendum result was clear. It was legitimate. It was the biggest vote for change this country has ever known. Brexit means Brexit – and we're going to make a success of it. And for the uninitiated she went to some lengths, at last, to explain what this means. Superb. A new catchphrase was also evident in this Theresa May Brexit speech. A truly Global Britain is possible, and it is in sight. I'm sure we will probably hear a lot more about Global Britain. Her conclusion neatly referenced back to her introduction. A classic move. At just over 20 minutes, this was a relatively short Leader's speech. However, it did its job. 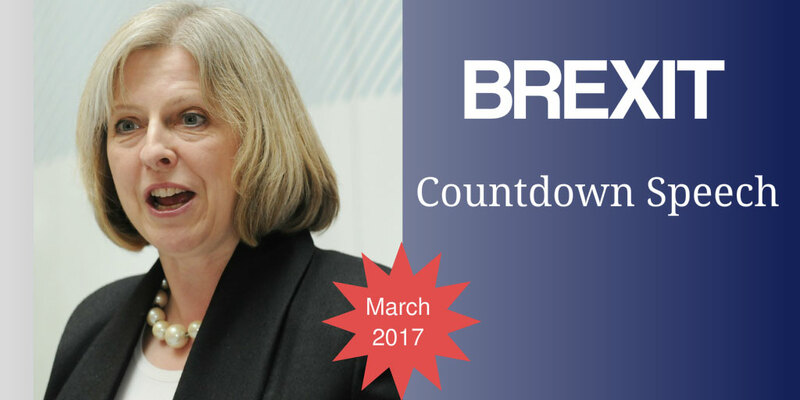 It got the conference started and her Brexit speech has started the countdown. 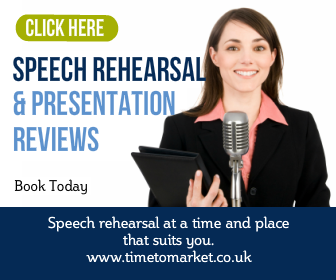 You can always discover plenty of public speaking tips for your next conference speech. Because with more than 100 top tips available, there really is something for every occasion. 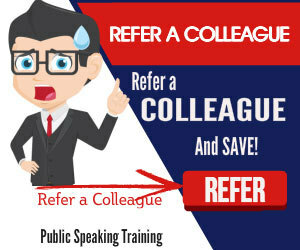 Plus, when you want more focused attention on your own public speaking skills, you can always take advantage of some training. So, when the time is right, please don't hsitate to get in touch.